You have the ability put up a heary duty portable shelter anywhere you want, anytime you want, without a permit. 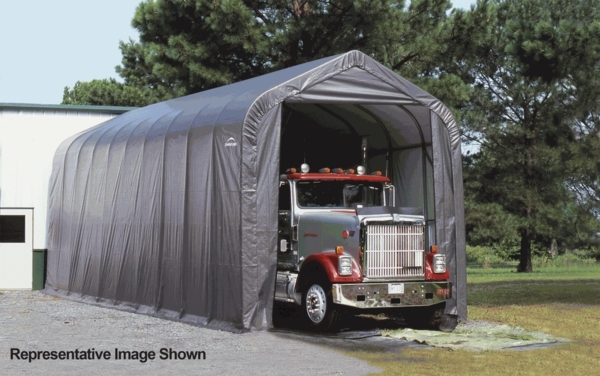 This shelter is a roomy 15 feet W x 24 feet L x 12 feet H. It can house anything from your cars, trucks, tractors, yard equipment and other outdoor supplies. This Peak Style Portable Shelter is made by Shelter Logic. 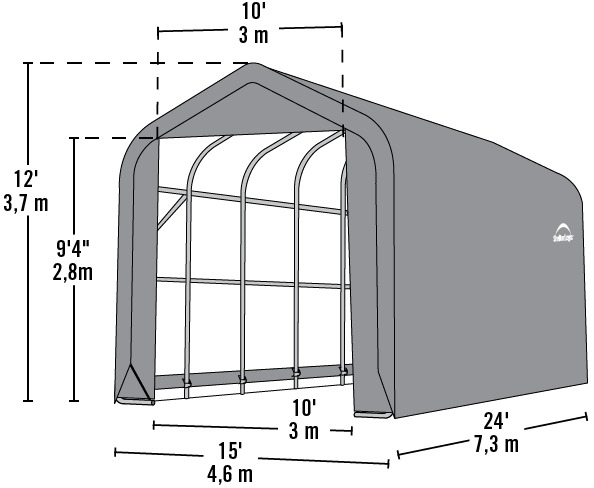 Shelter Logic is the leading maker of portable sheds, garages, and other types of shelters.